I would like to first thank you for stopping by and checking out my blog! I know the world we live in keeps us busy, so I appreciate you using some of your precious time to read my thoughts. A compass is defined as a device used to determine geographical direction, usually consisting of a magnetic needle mounted on a pivot. 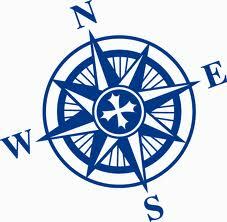 Compasses are used to navigate you to or back to a desired place. It is used when you are lost or to keep you from getting lost. No matter where a person is, they can count on a compass to lead them in the right direction. I named this blog “MY COMPASS” because that is what the Bible is to me. It gives me direction on how to live my life to the glory of God. No matter where I am in life, I can count on the Word of God to lead me to where I am suppsed to be. 2 Peter 1:3 says, “His divine power has given to us all things that pertain to life and godliness, through the knowledge of Him who called us by glory and virtue.” The Word of God gives us direction on how to live a godly life whether in ministry or just in everyday life. This blog will express my thoughts on how to live that life. My hope and prayer is that my thoughts “point you North” to the Lord Jesus Christ. John Wesley once said, “Scripture is always interpreted through a person’s tradition, experience, and reason.” I offer that quote to you because I want to make sure you know that I interpret Scripture based on my tradition, experience, and reason. I try my best to study the Word carefully and come to appropriate conclusions, but we cannot escape these three perspectives. As a result, I accept that people may have different perspectives than mine. However, we owe it to ourselves to challenge our experience, reason, and tradition to make sure it lines up with the Word of God. With that in mind, I hope you enjoy this blog. And, understand that I am ever growing and changing; I hope you also continue to grow in who you are as I do the same. Thanks again for stopping by and I hope this will be a fruitful experience for you. Be blessed!